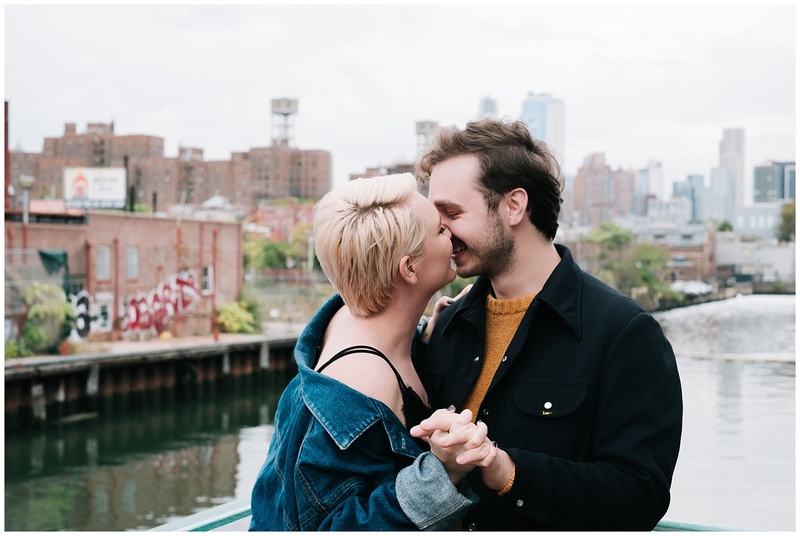 I recently went on a four day trip to New York to attend a photography workshop, and left with not only a lot of new knowledge about photography, but also with some awesome shots of this Brooklyn couple. Emily and David were a blast to walk around with, and gave me the chance to explore parts of Brooklyn I hadn’t seen before! Emily and I even ended up trading shoes for a portion of the day (something that only happens when you really connect with a couple). We started our session right outside of 501 Union, an awesome Brooklyn venue perfect for any wedding or event! We walked the streets and talked about how they met- at a concert and she fell for his mullet!- and their plans for the future. Hopefully next time I’m in the city I can meet up with these two love birds again, smell some her homemade candles, and take some more awesome photos!